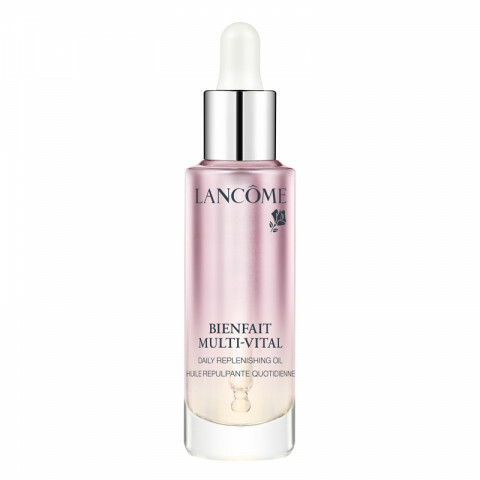 A healing, blend of botanical essences, Bienfait Multi-Vital Daily Replenishing Oil has the delicacy of a serum. The formula helps skin retain moisture. Formulated with antioxidants, it brightens the skin and leaves a youthful, lit from within look. This hydrating oil provides moisture, leaving skin soft, supple and radiant. In a consumer study, users reported that skin felt more moisturized, replenished and softened. After four weeks, users reported increased radiance, hydration and softness, as well as an appearance of more youthful skin. lovely oil that leaves my skin feeling so smooth and hydrated. I continued using Bienfait and noticed a huge change in my skin. The little pimples around my mouth and chin vanished and the scars on my cheeks were diminished significantly. i use this oil sparingly. it is very moisturizing. good to use in the winter when mixed in with your foundation! On oily or younger skins, this may be too rich for you. On me, it just sits on top of my skin and just does not absorb. Moreover, the scent is overpowering.